"By the time I had got two or three hundred feet off the ground," she said, "I knew I had to fly." 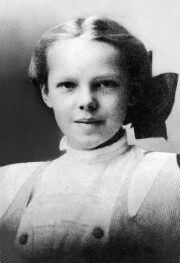 Amelia Earhart saw her first plane when she was ten years old at a street fair. She was not impressed and it didn't interest her until she attended a stunt-flying exhibition. As time went on and her love grew, she accomplished the unimaginable. She is a deserving hero because she empowers women to never give up on what they love, she had many accomplishments, and she was determined to be the best. Amelia Earhart was born in Atchison, Kansas, a small town with not much hope for success. She lived there until she was 12, she then moved to various cities for her father's job. After attending flying exhibitions, she received her pilot's' license on May 19th, 1922. When she discovered that she was in love with aviation, Earhart immediately began setting records and excelling in everything she did. She became well-known during the 1920s and 1930s for accomplishing many of her dreams such as setting records for women and overall worldwide records. Although Earhart's dreams would lead to financial problems, prejudice issues and denial, she was ready for the challenges she had ahead. During and even after her life she continually empowered women to never give up on what they love. In many interviews, women refer to her as a role model or someone they look up to. When an interviewer asked Robin McCasland, (director of Buck Consultants in Dallas, Texas) what historical figure she most identifies with, she answers, "Amelia Earhart. She went after something she wanted, and did it with gusto. She broke through a number of stereotypes at the time, but I don't think that's why she became a pilot. 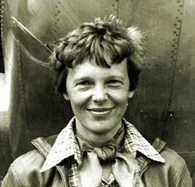 She did it for the love of flying and the adventure of exploring new destinations" (McCasland). McCasland is inspired by Amelia's determination and ambition to be the best and succeed no matter what odds are against her. "When I was little, my grandmother gave me a book about famous women--a chapter each on everyone from Florence Nightingale to Amelia Earhart to Eleanor Roosevelt. I adored it; I read it a million times. I still love reading about women overcoming obstacles, defeating expectations and accomplishing great or unusual things. I'm a big fan of the underdog, and I love it when the smart girl wins" (Different). Many women look up to Amelia for chasing her dreams and doing the unthought-of for women. Even though she faced many challenges, Earhart accomplished what she wanted most, to be remembered. Amelia's on-going courage led to all the recognition she still receives today. Stimulated by her Hawaii flight, Earhart set herself a new goal, to fly around the world at (or near) the Equator, something never attempted before. She always strived to beat her own and other aviators in records. She set a new altitude high of 14,000 feet. Soon after, another pilot broke her record, but the determined Earhart immediately tried to set a new one. Second place was not an option for Amelia and she never settled for less. 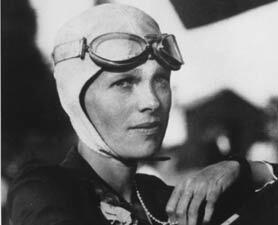 Earhart became quickly well known for her vast accomplishments. Her constant drive to break more and more records set her apart from the average American women. In 1928, she became the first women to fly solo across the Atlantic as a passenger and became the first women to make a solo round-trip flight across the Unites States. But as time proceeded and expectations were raised, her accomplishments reached the unimaginable. In 1936 she became the first person to fly solo from Honolulu, Hawaii to Oakland, California and became the first person to fly solo from Mexico City to Newark, New Jersey. Unfortunately, while attempting to fly around the world along the equator, her and her navigator disappeared after covering more than 22,000 miles, two-thirds of the total flight. Searches continued, but no traces were found. Although she did not complete what she set out to do, she died doing what she loved, and people still admire her for that. Amelia Earhart is a deserving hero because she empowered women to never give up on what they love, she accomplished things beyond imagination and she set out to be the best. Amelia was a self-determined and ambitious young woman with a deep passion for aeronautics and adventure. Her ever enchanting story will live on and inspire many. She not only defied all odds, but she succeeded in what she wanted to despite all the challenges and obstacles she faced along the way. Her love for aviation was clear throughout her whole life, and still, long after her death, her passionate vibe has been admired by many.